Just follow this simple Video tutorial. 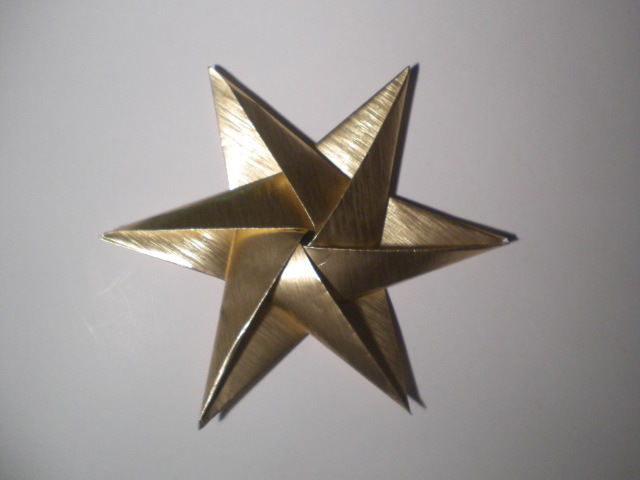 The folding is done by Stephan. I did the voiceover. Hint: You can fold any amounts of in just the same way. Just have to start with an sheet with the same amount of Corners. 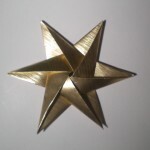 For example an octagon for eight sided origami star, a pentagon for five points and so on. This is due because of the twistfold this model uses. Note: We did the recording with an old point and should camera, so please excuse the production value. All the following videos will be full HD as you are used too! Stephan Weber is a German Paperartist, known for his expressionist folding. His most famous model, the Bull, looks as lifelike as models that take hours to make. Stephan folds it in ten minutes. Working as an Artist on the street he learned folding quick and clear. Using curved folds and wetfolding, Stephan Weber’s origami designs have unique Style that combines simplicitiy and beauty. 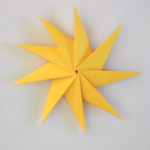 there are more origami stars to be folded.